A straight, bright smile is one of the most everlasting gifts you can give to your son or daughter. Hygienically,straight, even teeth are easier to brush and floss, which means the subsequent dental work that comes from difficult-to-reach tooth surfaces will be minimized by early orthodontics. Cosmetically,a bright, straight smile is noticeable and attractive. Emotionally, a child with the benefits afforded by early orthodontic intervention will be positively impacted. Better oral hygiene and a cosmetically attractive smile will mean enhanced confidence and self-esteem for your son or daughter. If you’ve decided to invest in braces, you can expect three primary phases. With modern orthodontic technology and a skilled staff, Kapadia Orthodontics will take you through a process designed to efficiently and effectively correct a variety of orthodontic issues. During the planning phase, we’ll provide an exact diagnosis. You’ll learn what to expect, and we’ll take the time to talk through options and make decisions about future phases. We’ll take dental castings and x-rays, and we’ll use computer-generated imagery to accurately make predictions and develop a customized treatment plan. Your orthodontist will select the appropriate orthodontic devices to slowly and gently move teeth into proper alignment. Braces are the most common fixed devices, but there are also removable device options. Once you’re fitted for a device, your orthodontist will provide adjustments to ensure that you are comfortable and safe, and that your alignment is progressing according to the treatment plan outlined in Phase 1. When alignment is complete, your orthodontist will recommend that you discontinue the use of braces or removable devices, and we will create a custom retainer to ensure that teeth don’t begin to shift back into their original position. Moving into Phase 3 is exciting, and the removal of braces is a big day! Wire irritation: If a place in your mouth is sore, you likely have a wire rubbing against your skin. Use a pencil eraser to gently move a wire that’s broken or dislodged, and we’ll give you some wax to wrap around any places that rub uncomfortably when your braces are first fitted. Gum inflammation and staining: Cleaning your teeth properly while you have braces will keep you comfortable and prevent staining. Flossing is always important, but with braces it becomes essential — don’t neglect your dental hygiene and you can avoid gum inflammation and the stains that sometimes accompany improper cleaning. Loose bands, spacers or brackets: In general, your braces will stay in place without any problems. If something does loosen, use wax to keep it from rubbing against your mouth and call us right away – we’ll get you in and get it fixed. Braces are an exciting opportunity to start your son or daughter off fresh with a bright, even smile with early orthodontic intervention. Knowing what to expect and understanding the phases of orthodontics will help to ensure a smooth, stress-free experience for your child. 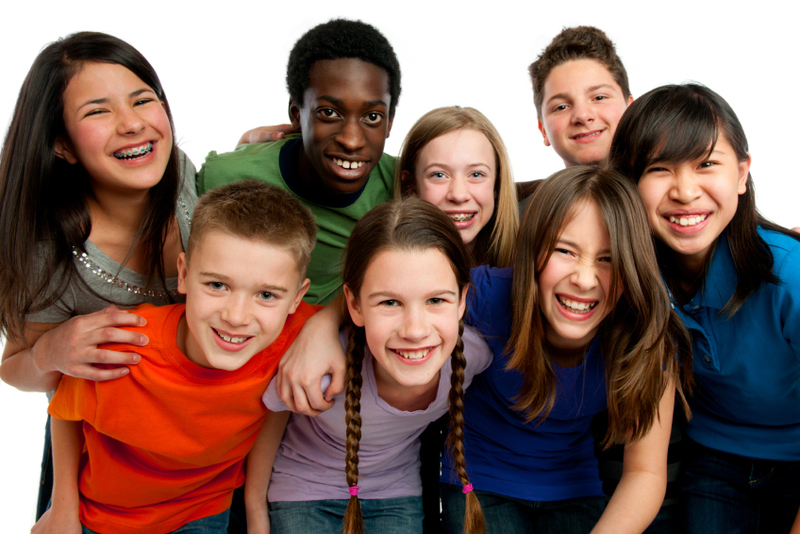 To learn more about early orthodontic intervention and what type of braces is right for your child, contact us today.